(Informed Comment) – Seventy-three years ago, on August 6 and August 9, the United States dropped atomic bombs on the Japanese cities of Hiroshima and Nagasaki. This tragic act launched an arms race in nuclear weapons, now spread to nine countries. After the first atomic blast, which killed 100,000 residents of Hiroshima immediately, the grievous radiation sickness of many thousands of survivors was not anticipated nor was it believed when reported. 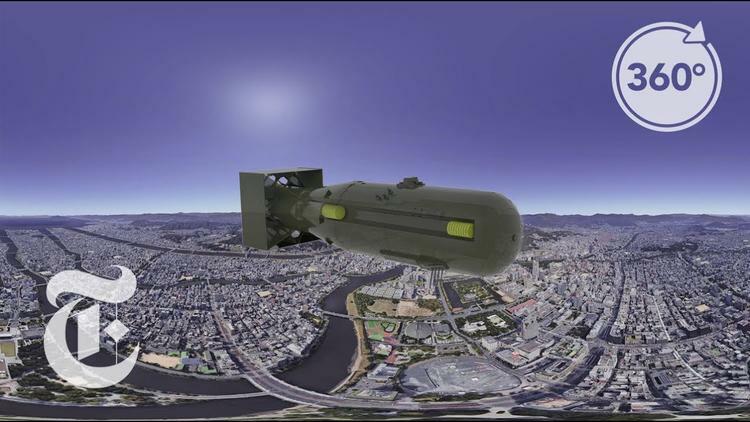 Without any reconsideration, a second bomb was dropped on Nagasaki, killing 70,000 citizens outright. The American military censored all documentation and photo images of the two bombs’ unparalleled human devastation, sheltering Americans from the inhumanity of Japanese women, men and children instantly reduced to ash. Kyoko Hayashi nearly died on August 9, 1945 in the atomic bombing of Nagasaki. She was fourteen years old and working at a factory less than a mile from the epicenter of the atomic explosion. For nine hours, she traveled barefoot through the ruins of Nagasaki passing many dead and dying who had been crushed, burned and wounded. American military leaders from all branches of the armed forces, among them Generals Eisenhower, Arnold, Marshall and MacArthur; and Admirals Leahy, Nimitz, and Halsey strongly dissented from the decision to use the bombs, some before August 1945, some in retrospect, for both military and moral reasons. Japan was already defeated and in peace negotiations with the Soviet Union; surrender was imminent. Not long ago, retired William Perry, the respected former defense secretary in the Clinton Administration, offered a bleak and chilling assessment of nuclear weapons: “Today, the danger of some sort of a nuclear catastrophe is greater than it was during the Cold War and most people are blissfully unaware of this danger…Our chief peril,” he writes in My Journey at the Nuclear Brink, “is that the poised nuclear doom, much of it hidden beneath the seas and in remote badlands, is too far out of global public consciousness. Passivity shows broadly.” Only by dumb luck, he adds, have we escaped nuclear war thus far. Contrary to government and defense industry group think, nuclear weapons do not provide security; they only endanger it. The passivity toward nuclear weapons, of which the former defense secretary spoke, is being defied across the world. After a decade of global organizing by peace and social movement, 122 countries agreed on July 7, 2017 to adopt a ban on nuclear weapons. Thus far, 59 countries have signed it. At the heart of the United Nations treaty to ban nuclear weapons is an explicit ethical goal: to protect peoples of the world from the humanitarian catastrophe that would ensue if nuclear weapons were employed. Once 50 states ratify the treaty – which is expected by next year – it will enter into international law. The United States lobbied hardest against this treaty, contending that these weapons of mass destruction keep us secure. Despite this morbid logic, we learned recently that our government’s leaders have a set of fortified sites constructed to save themselves in the event of nuclear catastrophe while the rest of us fend for ourselves. While our federal government vehemently opposes this UN treaty, communities and organizations across our country are working to support the ban on nuclear weapons locally. Sign this and participate in any community event to honor victims of our atomic bombs and to voice your support for a nuclear-weapons free world.